You can still review this old content for now but it will no longer be where we do our stuff. But you will on our "Facebook Page"! We're touring again by train! 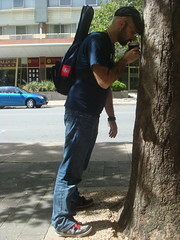 We're both playing at MUF and set off for a little adventure giving workshops and performances all the way to Brisbane! Here's a facebook event with all the details! 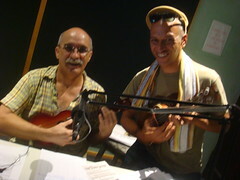 Build your own Uke in the lead-up to this year's Cairns Ukulele Festival! Booked-out 2 years running, this is a fantastic opportunity, and a whole lot of active fun. 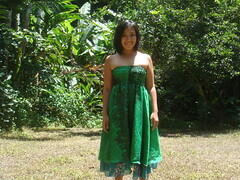 You'll end up with an amazing instrument that you made with your very own hands. 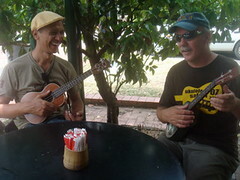 Expertly run with humour and aplomb by Allen McFarlen of Barron River Guitars and Micheal Connor of Localele Ukuleles. Visit Barron River Gutars Website for all the booking details! 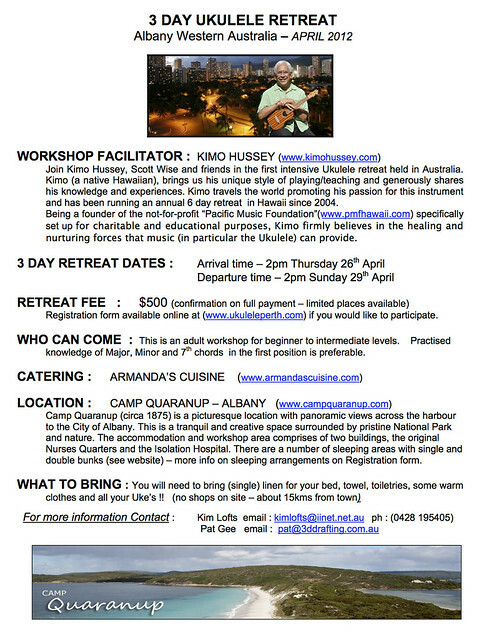 Our friends out West are organising an exciting 3-Day Retreat with Kimo Hussey (Hawaii) and Scott Wise in beautiful Albany, Western Australia. 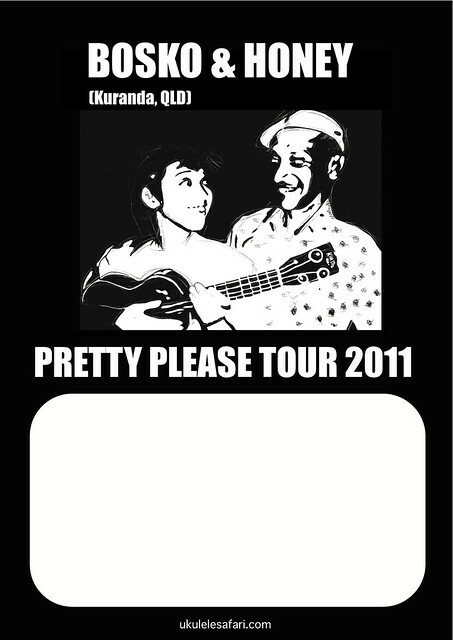 Visit Ukulele Perth Dot Com for booking and details! 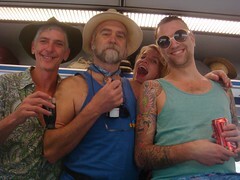 We're performing our way by train from Cairns to Melbourne! 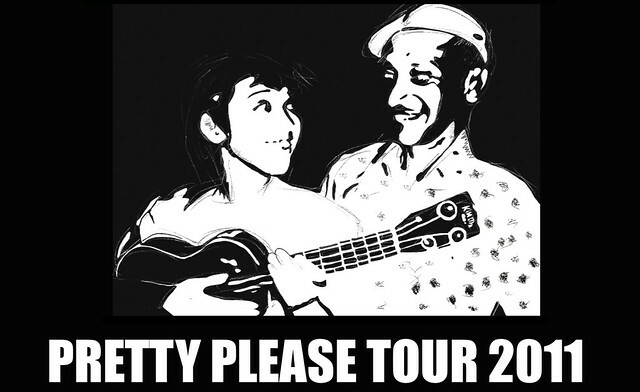 Along the way we'll also be giving workshops and promoting our brand new CD "Pretty Please"! 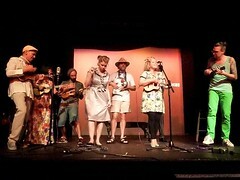 Here's a sample of a recent show from the tour... in Canberra for the Canberra Ukulele Festival of Fun! 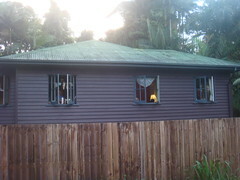 Mid Mountains Community Centre, 7 New Street Lawson. MILTON ARTS FESTIVAL "Uke Day Out"
1 hour workshop on the CAGFD System followed by a general forum and Q&A with Bosko & Honey covering a broad range of ukulele techniques and approaches. 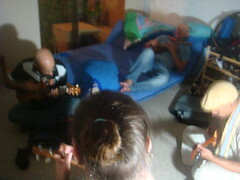 Hosted by MUK and Uke4Kids. Email us if you want us to perform near you! 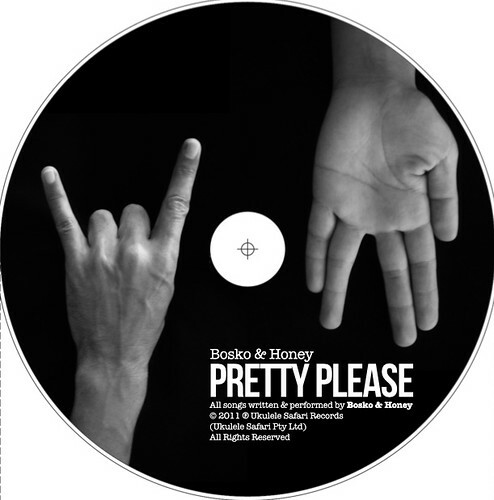 It's called "Pretty Please" and consists of 8 original songs including 2 instrumentals. This is the first time we've recorded any of these songs. It was recorded, mixed and mastered at Pegasus Studios by Nigel Pegrum in a record 18 hours! We are VERY happy with the result and the experience was one of the highlights of our lives. 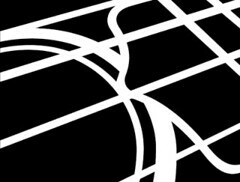 New Online Store... Under Construction! I'm down the Great Ocean Road in Victoria at the moment, at a holiday house with my brother working on an online shop that will be open very soon. 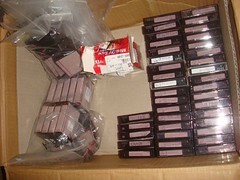 Hopefully within a week or two we'll be offering some great products direct from Japan. I've never done anything like build a shop before, which is why I'm here... not only does my brother build websites and databases all the time, he also hosts us on his server! 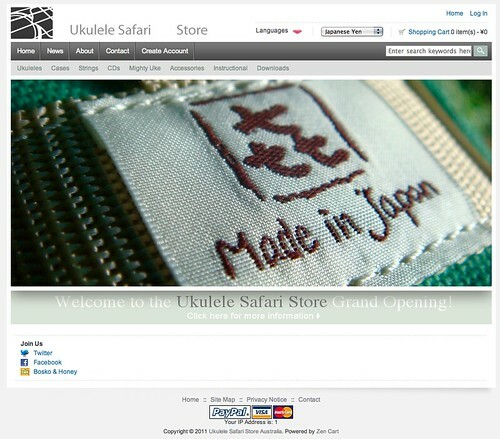 It's looking good so far, and I thought I'd share a screenshot preview of the front page and logo of the Ukulele Safari Store with you! 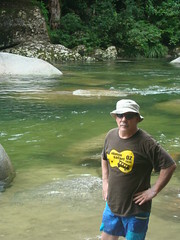 Recently we've been particularly enjoying life in Kuranda. One of the things that seems to be happening (maybe as a direct consequence of a tourism industry in trouble) is that with less money around there's a bit of a cultural renaissance occurring... or so it seems to me. 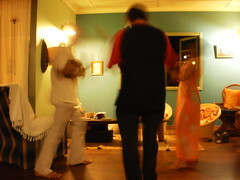 One particular manifestation of this is the resurrection of "Looney Poets", a poetry and performance tradition in Kuranda over many years. 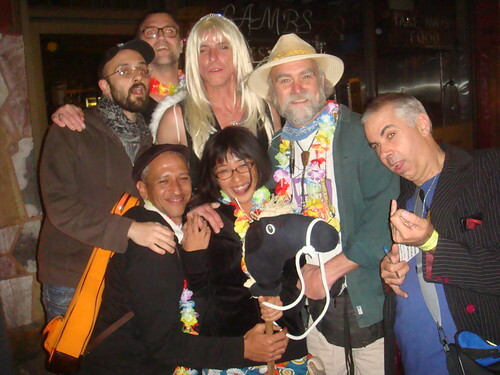 Looney Poets' latest incarnation was last Sunday's "Dark of the Moon", which was a departure from the usual family-friendly event. 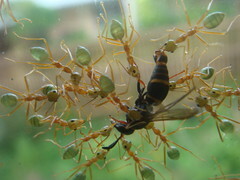 The best photo is here, but there is a female reproductive organ visible... You have been WARNED! 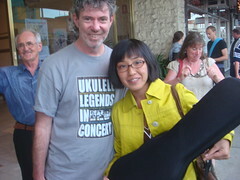 The first day of the Melbourne Ukulele Festival was an especially exciting one for Honey because AJ Leonard brought Honey's repaired uke back from the doctor! 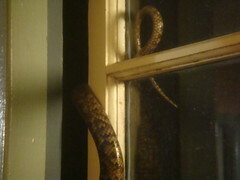 The doctor in question is actually violin maker David S. Brown, based at Montsalvat in Eltham, Victoria. 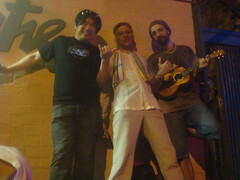 In sympathy and as a friend of AJ Leonard he agreed to put Honey's uke back together free of charge... what an amazing guy! So... as we arrived at the magnificent Thornbury Theatre for the opening night of the MUF, we met AJ and Jenny out the front and they presented us with Honey's fixed uke! Thank you AJ, Jenny and David Brown!!! 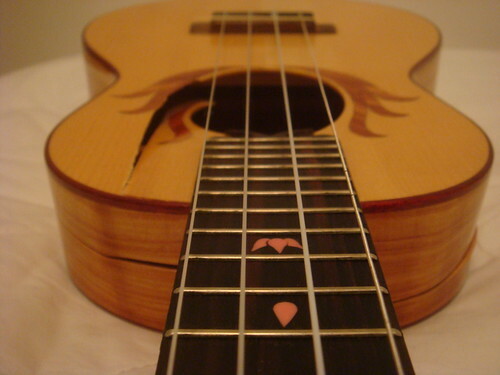 The maker of Honey's Signature Model custom uke, Mike DaSilva of Berkley, California also contacted us and will do some more repairs once we find the opportunity to send it to him... Thanks Mike!!! Understandably Honey's shock was huge... and it was the first time I have seen her cry... except for while watching a sad movie. 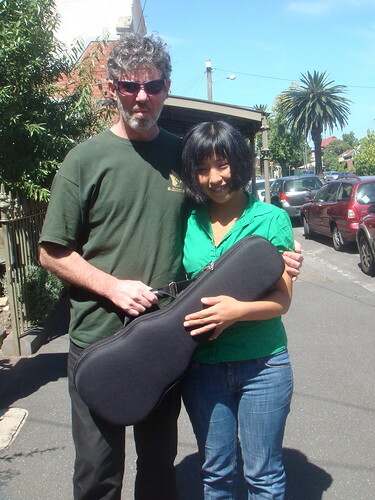 The first thing I did was put out word on facebook, and that we needed to borrow a tenor that could be strung "low G" because we had a gig in Castlemaine the following night. Consequently, the next morning (after Honey was able to sleep with the help of a few stiff bourbons) we headed to the Childrens' Hospital where Ben works as part of the Starlight Foundation and picked up the replacement uke... THANK YOU BEN! He then drove to Monsalvat in Elthem to his luthier, a violin maker who had fixed damage on his own ukes befroe... AJ... you are a LEGEND! Well we had a WONDERFUL time in Canberra... the Merry Muse gig was unreal... great audience and we were more relaxed performing than we've ever been... really fun! Guy the sound guy was great and all to all the URoC crew who worked so hard to help make the event work: Thank You! The next day it was off to Brisbane by plane.... as soon as we arrived B&H went to the public broadcaster 4ZZZ to be interviewed by Rick on his World Beat show... then it was straight to the Brisbane Arts Theatre (what a great venue - with a green room, dressing room and a very cool and professional crew) for sound check, a shower and on with the show! Jontom (our newly adopted son) came with B&H to stay at Bosko's mum's place: "Mumbo's, the preferred accommodations for the discerning ukulele player on tour"
On the Road with the MUF Showcase Tour! 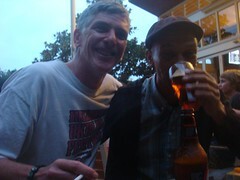 It's been so much fun hanging out with such great people, and wow, Dino Divo really knows how to look after us... He is a real Legend I tell you! 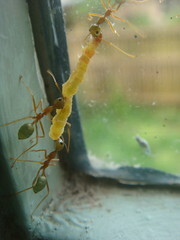 Here's some quick Pics to give you a taste of the fun being had! We're packing and preparing to fly to Sydney this afternoon! 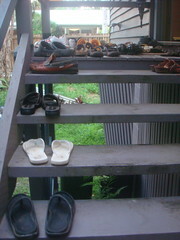 It's been pretty crazy here after our near miss and lucky escape from the ravages of Cyclone Yasi! The worst we had to deal with was no power or mobile coverage for a few days... we really feel for all the people on the Cassowary Coast who lost so much. We've been rehearsing last minute like mad, and wrote 2 songs (with WORDS, people!) 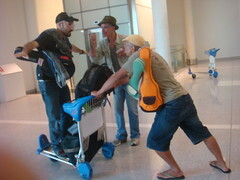 that we're really excited about... should be ok with 2 more rehearsals in Sydney before our show with Ukulelezaza, Uni and Her Ukelele, Jontom, Paul Moore and Dino Divo at The Vanguard in Sydney! 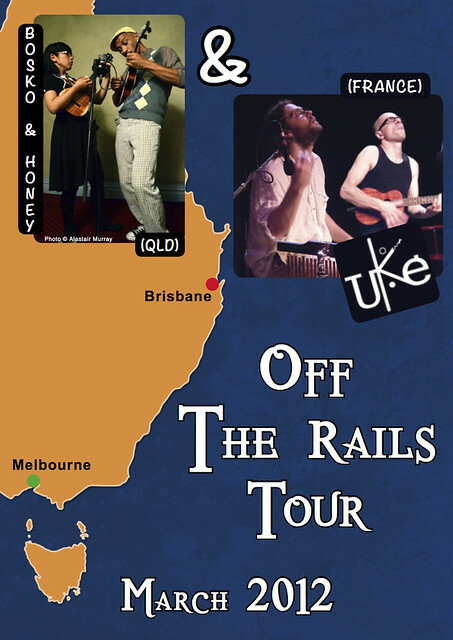 It's the beginning of a series of shows called the MUF Showcase Tour with dates also in Canberra, Brisbane and Castlemaine... all culminating in the 2nd Melbourne Ukulele Festival which begins on the 25th of this month.... Fun, fun, fun! 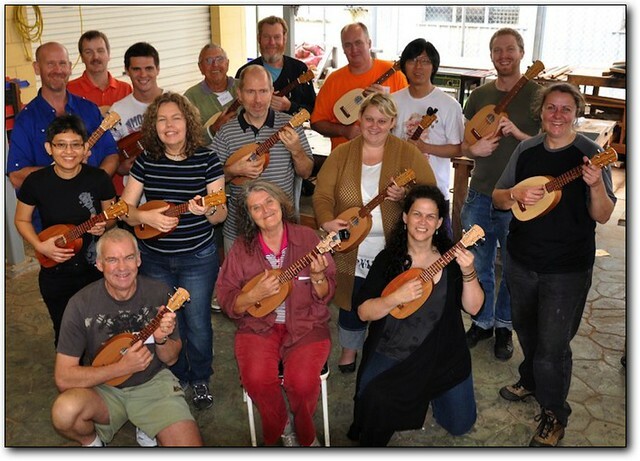 It's called the MUF Showcase Tour, organised by Dino Divo of the Melbourne Ukulele Kollective as a lead-up to the Melbourne Ukulele Festival. Check out the MUF Showcase Tour details on the MUF website! 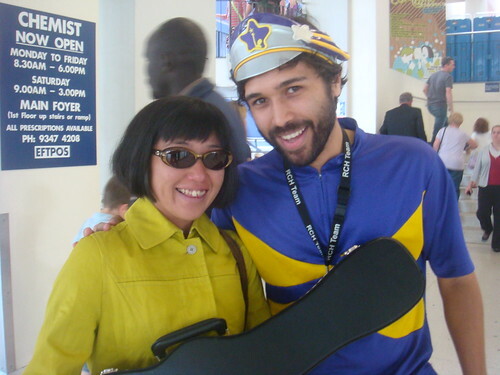 No tears were shed at the airport 'cos we're gonna be seeing them both again in Melbourne in late February for the Melbourne Ukulele Festival, otherwise known as MUF2. Jim & Linda were almost literally thrown in the deep end on their first visit to the tropics, but they kept their humour refreshingly dry. 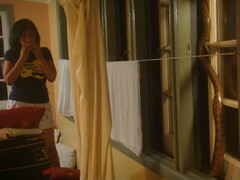 Lots of good food and wine in a house scrubbed clean by Bosko & Honey was the order of most days, as well as sightseeing... 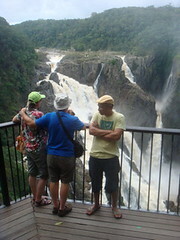 They took in Mossman Gorge, Port Douglas, Barron Falls, Wrights Lookout and more... but it was the many hours of joking, jamming and shared insight that really made the week! 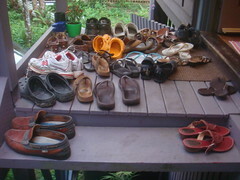 Then it was time for the Ukulele Workshop and House Concert, and Honey and Linda spent many hours cooking while Bosko cleaned (and Jim swabbed the dunny)... and wow, what a turnout! 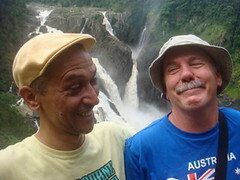 There was even a gentleman from Melbourne who had read about Jim's tour online and saw that he could attend the Kuranda workshop during his holidays here! 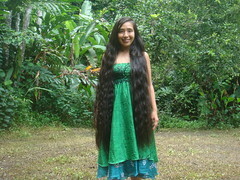 Well, Honey has been wanting to lop her hair off for over a year now, and finally she's gone ahead and done it! 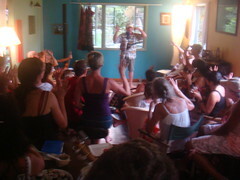 He recently visited us (with his wife Linda) and conducted a Workshop at our place at which 30 people showed up! 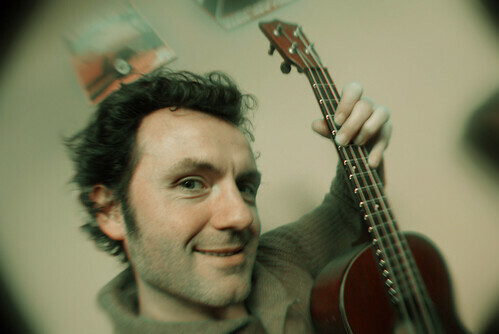 Jim D�Ville is an internationally recognised ukulele instructor specialising in teaching by ear. 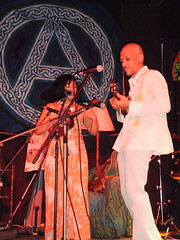 Jim has developed a number of techniques that teach people how to play music rather than simply memorise songs. 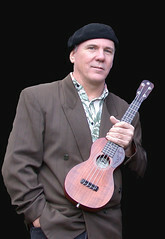 He is the author of the Play Ukulele By Ear DVD series and hosts the popular ukulele blog, playukulelebyear.blogspot.com. 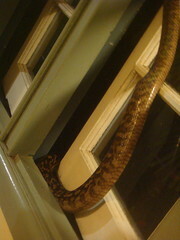 He lives on the central Oregon coast. Play Ukulele By Ear (All Levels Welcome). 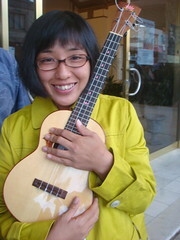 Get the most out of your ukulele experience by learning to Play Ukulele By Ear. This entertaining and informative workshop will give you the tools you need to tap into your innate musical abilities which includes hearing chord changes. Playing by ear is easy, it's fun and it will propel your understanding of how music works to a new level. All skill levels welcome, however, knowledge of basic chord shapes (C F G G7) is helpful. 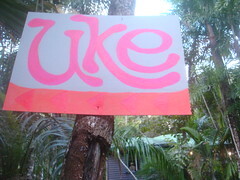 There are even more choices for uke jamming in Cairns these days... every week in fact! 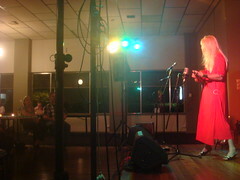 The first Tuesday of every month Gaby from Music City Cairns and the Cairns Ukulele Festival runs a club meet at the Cape York Hotel, corner of Spence and Bunda Streets, Cairns. 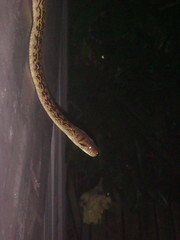 at 7.30pm. 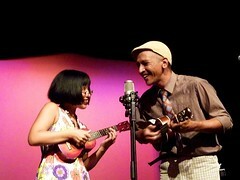 The Cairns Ukulele Festival is on again the first weekend of July, Friday 1st, Saturday 2nd and Sunday 3rd! The main focus of this year's fest is a bevvy of terrific international acts, most of whom will perform at the Tanks Arts Centre on Sunday the 3rd of July, along with Australia's own AJ Leonard and his Tropical Lounge. We'll be playing and hosting the opening night at the Courthouse Hotel, which is FREE and will feature most of the Festival's Australian acts. Visit the Official Website for more information! 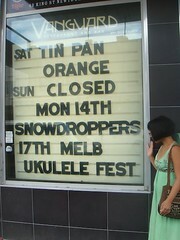 *UPDATE* The Melbourne Ukulele Festival was AWESOME!!!!!!! 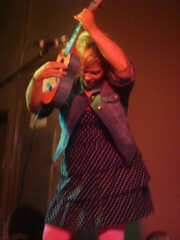 Paul Moore: How to be a Ukulele Playing One Man Band.. or if you like a One Woman Band or Band of One Person. 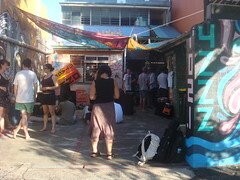 Make sure you visit SCUM next time you're in the Sunshine Coast! 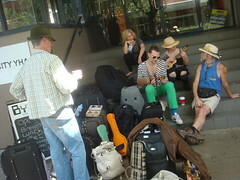 Many thanks to Lynne and Trevor for their hospitality, and to all the wonderful folk we met in the Sunshine Coast! We were delighted and touched by a generous gift that arrived in the mail recently... a box containing 8 bottles of delicious South Australian wine, olive oil and vinegar - a gift from the lovely folk at the Adelaide Ukulele Appreciation Society ! Thank you SO much, whoever is responsible! 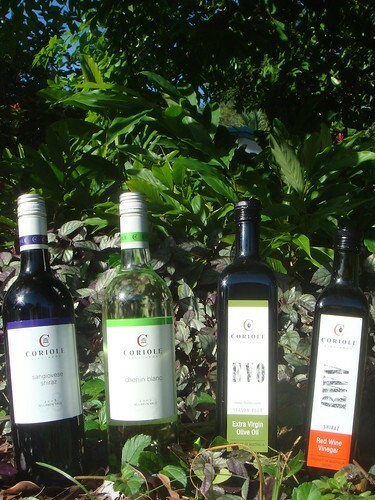 We are enjoying them immensely (hic)! 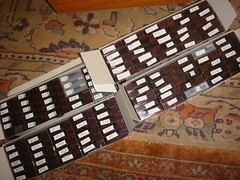 I've just been sorting tapes, and we've got over 160 hours of video from Safari Oz! 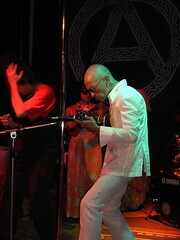 Gensblue has posted some photos on his Blog, showing what was happening on the other end of the live Skype Safari Oz Launch... at Bar Hikoroku in Koenji, Tokyo... (just scroll down a little). 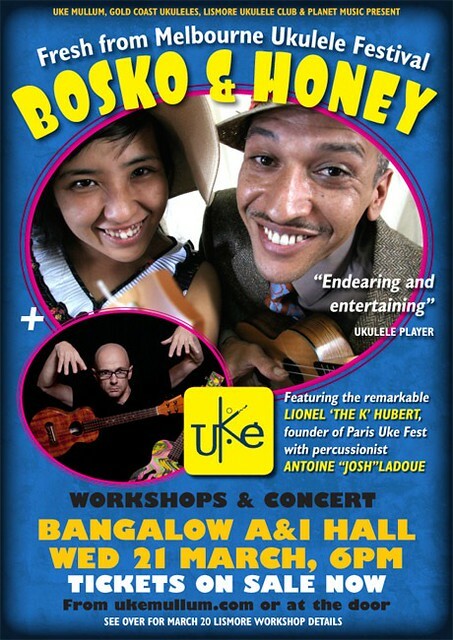 BOSKO & HONEY'S "JOIN THE SAFARI" UKULELE VIDEO CONTEST! We received 60 entries from 15 countries... 54 original songs, many of which were written just for the contest! 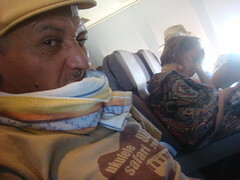 The winner flys to Melbourne to attend the Melbourne Ukulele Festival and also joins us on Safari to Tasmania! Thanks to EVERY SINGLE ENTRANT and FINALIST!! You're ALL the best!! SPECIAL THANKS to Bosko and Honey's MUMS... who bore the heavy task on choosing a winner (from the 4 finalists,) and they did it with dignity, diligence... AND a sense of fun! We can't thank you enough!! !